For data workloads that rely on small-file and random access performance, current generation file systems are insufficient to meet their needs. Since these systems were architected to support large-file and sequential access performance, using them can result in considerable management overhead to ensure that the data is accessible and readable when needed. 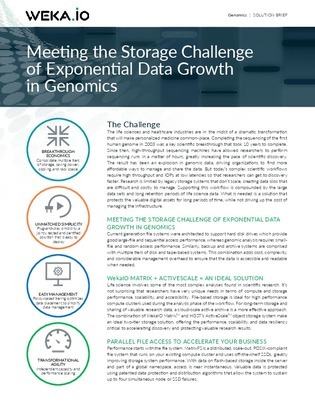 For a more effective approach to long-term storage and data sharing, check out this resource. It highlights a cloud-scale active archive system that is built to cost-effectively meet the performance, scalability, and accessibility needs of high-performance workloads.